I've never seen a photo of a seagull cropped that way and frankly it WORKS! What a great composition! 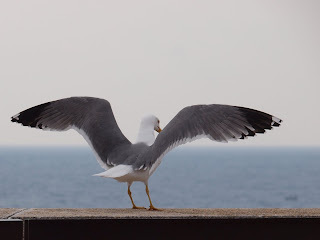 Strangely enough, I have a Monaco seagull on my blog today too. Only mine's on my header, rather than an actual post. Yes, I agree with Nathalie - it works. Same gull as the full image, but a much 'better' photo. Wow - look at those legs! Oh la la! 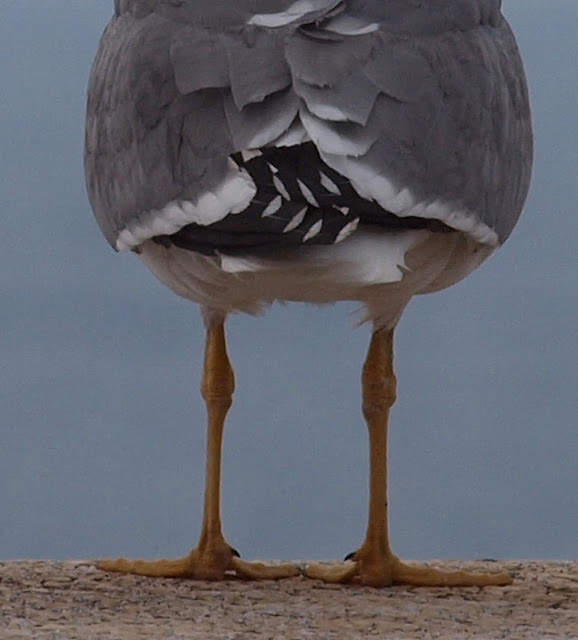 Oh yes, I think this shows where the expression "bird legs" comes from... Totally cute, and a great shot. Love that we both posted gulls! What a great photo--it makes me smile smile smile.